At UK Hand Knitting we all love yarn events. 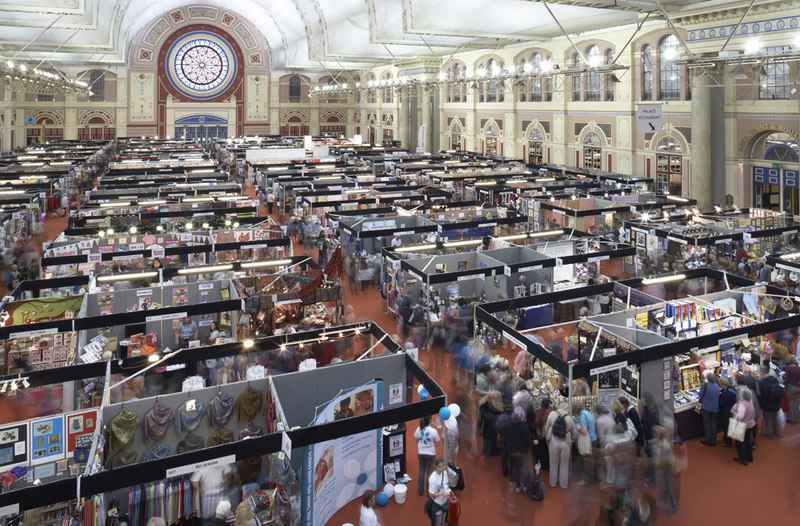 Whether it be a massive craft show where we might be teaching people to knit or crochet or a smaller local yarn show, a workshop to learn a new technique or something like Worldwide Knit in Public Day, we love meeting other knitters and crocheters and being able to see a whole range of yarns and accessories. Yarn events always offer a chance to learn something new – that could be a technique or finding out about a new yarn either on a stand or because someone we meet is using it. 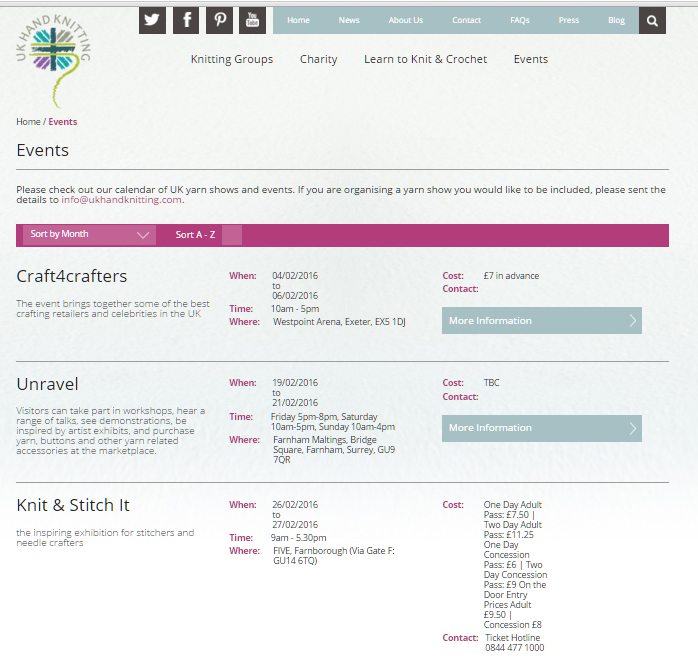 And because the UK Hand Knitting website is dedicated to helping knitters and crocheters (and those who want to learn) we are compiling a calendar of yarn events and workshops. You can search by month to see what’s coming up, so why not sit down with your diary and plan your yarn year. But we need your help too. There will be events we don’t know about so if you are planning a knitting or crochet event or workshop this year – or are going to one not yet on our list – please email Bronagh@ukhandknitting.com so we can add it. And hopefully we’ll meet you somewhere round the country this year.